If this card is Normal or Special Summoned: You can declare 1 card type (Monster, Spell, or Trap); reveal the top card of your opponent's Deck, and if you do, draw 1 card if it is a card of that type. Once per turn, during either player's turn: You can target 1 "SPYRAL Super Agent" you control and 1 monster your opponent controls; return both monsters to the hand. Your opponent cannot target other "SPYRAL" cards you control with card effects. 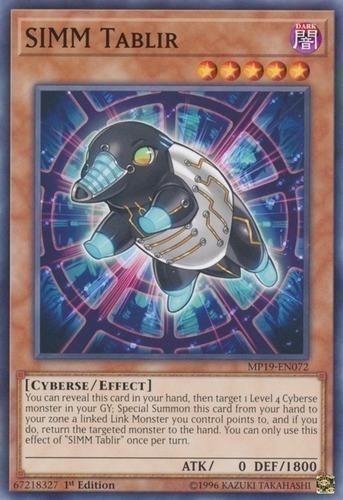 Once per turn: You can add 1 "SPYRAL" monster from your Deck to your hand. Once per turn, during your End Phase, shuffle 1 monster from your Graveyard into the Deck or destroy this card. If this card is in your hand: You can declare 1 card type (Monster, Spell, or Trap); reveal the top card of your opponent's Deck, and if you do, Special Summon this card if it is a card of that type. If this card is Special Summoned by the effect of a "SPYRAL" card: You can target 1 Spell/Trap your opponent controls; destroy it. You can only use each effect of "SPYRAL Super Agent" once per turn. This card's name becomes "SPYRAL Super Agent" while it is on the field or in the GY. Once per turn: You can declare 1 type of card (Monster, Spell, or Trap) and target 1 card your opponent controls; reveal the top card of your opponent's Deck, and if you do, destroy the targeted card if the revealed card is the declared type. When this card is Normal Summoned: You can target 1 "ZW -" monster you control that is an Equip Card; Special Summon that target in Defense Position. You can target 1 "Utopia" monster you control; equip this card from your hand to that target. When the equipped monster destroys an opponent's monster by battle and sends it to the Graveyard: You can target 1 "ZW -" monster in your Graveyard; add that target to your hand. During your Main Phase: You can Special Summon 1 monster from your hand with the same Level as this card. This effect can only be used once while this card is face-up on the field. Activate only while you control a face-up "X-Saber" monster. Negate the Summon of a monster and destroy it. Cannot be used as a Synchro Material. Up to twice per turn: You can target 1 Fish-Type monster on the field, then activate 1 of these effects.